The Golf Flask by Picnic Time combines a premium stainless steel flask and golf accessories with a ballistic nylon carry pouch that has a more modern look and feel than similar items on the market. The golf accessories included are four tees, two ball markers, and a divot tool. Loop the fastening strap of the carry pouch around one's belt or golf bag for convenient, easy access. 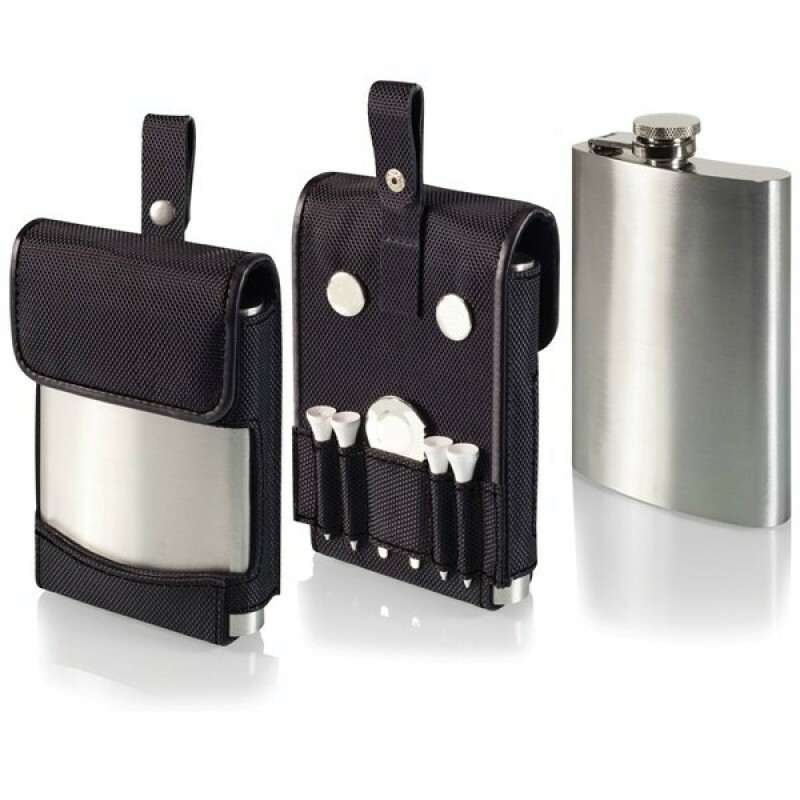 The Golf Flask makes a thoughtful gift for an avid golfer. Care Instructions:Surface wash pouch with damp cloth only. Hand wash flask with warm water and mild detergent; air dry.